Back in 2009 (my first year in Los Angeles), I was a teacher at Gymboree and would ride the metro orange line from my place in NoHo all the way on the straight shot to Woodland Hills where I worked. With tired eyes and a thermos full of coffee, this introverted girl would hop on at 5 AM, headphones in, ready for some alone time before a day full of noisy children. 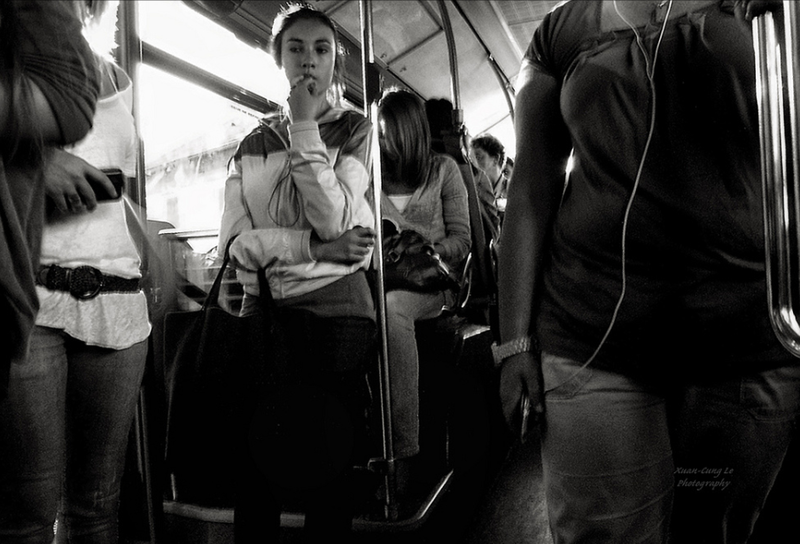 On one particular morning, a girl entered and sat alone on the bus a couple rows ahead of me. Honestly, I don’t know what it was, but I immediately felt that I should go sit next to her and say hello. I can assure you, it was truly the last thing I wanted to do. I tried to drown this silly idea out with the sound of my classic 80s rock playlist, but Bon Jovi was no match for what was on my heart that morning. “Good morning. I love your scarf–such a beautiful color on you.” I said to the stranger. Much to my surprise, her eyes filled with tears, and she slowly began to mutter a small… “Thank you.”, along with a somewhat forced grin. My heart broke for her. Not because breakups are uncommon, but because she was in front of me. She was important. She was on my heart. We become so desensitized to the pain of others, and sometimes even invalidate or compare it. But in that moment, all I wanted to do was help in whatever small way I could. She went on to explain that she was also a bit lost, so I I gave her some directions, along with one of my protein bars and enough change to catch her bus coming home. She hugged me and went on with her day, and I with mine. I ended up being late to work that day, but it made me think of the verse below. Every day, we are encountering people all around us who are lost physically, spiritually, or emotionally. The idealistic hero heart in me wants to do something big…to save everyone…to make a grand gesture that makes a huge impact on our world. The truth is, I can’t save the world. Often times, my efforts feel insignificant, futile. But I can make an impact on one person each day…I can pay attention to the one in front of me who has a need that perhaps I can meet. If we are doing our part, our individual best, and are all looking after the one lost sheep in our path, we are closer to community, unity, and wholeness. Do for one what you wish you could do for many. Next postNot Another Instigatory Blog Post. Mmmm. Yes. I took a trip to India, and there is so much hurt and happy and odd and interesting and sad I wish I could remedy. But I can pray. I can pray for that one. Rachel, yes, 100% yes. I try to do this, and know I do fail, but I try. Today, I just wanted that one person to ask me about a situation…and no one did. Anyway, just letting you know I’m with you on this!